As with all things relating to minimalism, it is best to activate over time. This is why I’ve taken so long re-organising the wardrobe. The home was never really cluttered but when I discovered minimalism, I decided there are ways to clear the home and have less stuff. My focus became to cut the clothes that I don’t wear. With this in mind, I took everything out and organised into 3 piles (Out/In/Maybe). Over the last few months the maybe pile, has been radically reduced and when I had less clothes, I bought some white coat hangers and organised the wardrobe so that it was not only arranged by type but colour too. Although this goes against the minimalism ideal, for me it made everything tidy and saves so much time in the morning when I am deciding what to wear. Honestly, the wardrobe has never been so tidy and it is lovely and does save an enormous amount of time. 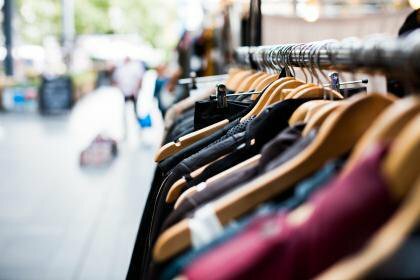 Do recycle items and pieces of clothing that are good enough should taken the charity shops. As a nation, we throw away enormous piles of clothes, so this is the sensible thing to do and best for the environment. Also, attempt a one in, one out policy and stick to it. My proposal is to buy better quality clothes but a lot less and mix and match more. During the colder times, scarves are great to jazz up clothes plus colourful, matching jewellery too. Anyway, I hope you like my tips and here’s to a clearer wardrobe which will save you time and money.